Hi everybody, howdy? It took long time from my previous post to write again here, umm about one month I guess. So terrible indeed, because I do miss the time when I can write something here especially if it can give some useful information for you. And I’d like to ask forgiveness for every mistake that I’ve done, I hope we can meet ramadhan again. Make sure you’re in health condition, because if you’re sick you can feel more sick while waiting :D.
Bring water and foods if you have to, because unpredictable waiting time can make you hungry . Sometimes in an occasion,it will be difficult to find food or canteen around you. Bring things that you love. 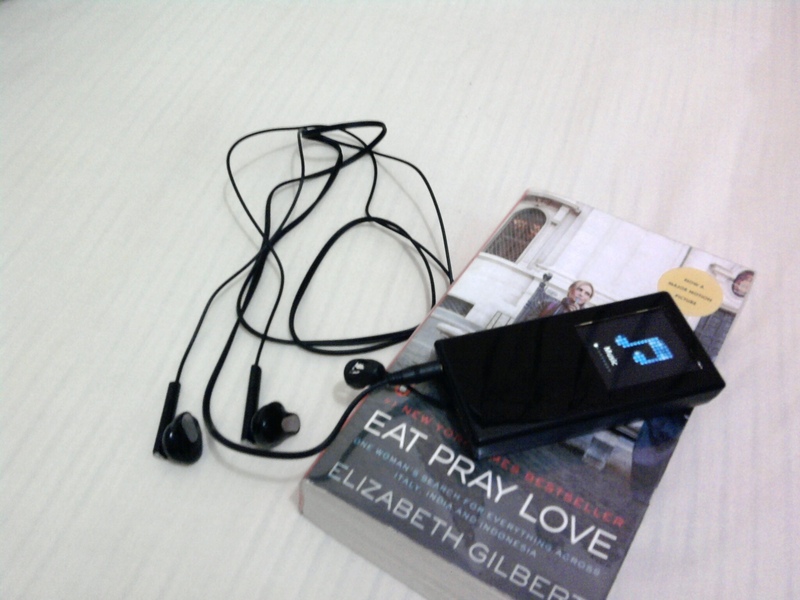 From my experiences, I’ll make sure to bring 3 things with me before I left home: phone, book and mp3 player. With my phone, I can communicate with my friends and fams through sms, palringo, twitter or facebook from opera mini that installed on it. I also can read news, watch movies (even though it can’t display subtitles >.<) and listen to music ^^. If you’re using phone with windows mobile, you can play divx files on it by installing Core Player (it’s cool *wink* ). Most of the time, I bring novel with me to be a companion. Novel that I brought when I had to be patient with 2 hours delay from Sriwijaya Airline on previous Tuesday was Eat Pray Love. Songs will make my day brighter, so I’ll regret if I forget to bring my mp3 with me. You can bring your laptop (if it possible), and do many things with it. Sleep :D. It’s good idea, right? Be creative while waiting ^^.